HEY YOU - yes, you, woman of God! You’re special. Even if no one ever told you that, you are most blessed among all women, just because of who God has called you to be. Whether you are a great business woman, a great mother, a great minister, a great wife, a great single woman, all of the above, or just an all-around great human being, you are blessed, you are amazing, and God has something special for you in your life! Too often we don’t hear this message in our churches that tend to delegate women, including Bible women, to a specific image or role that reflects the ideals of culture rather than the ideas God has for us. As a result, we, as women, don’t know our image, our history, and our identity as women of God, prepared and victorious over anything that comes against us in this life. 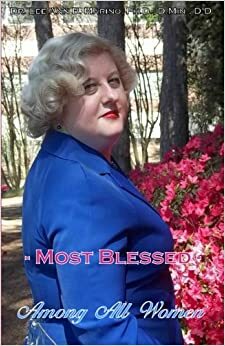 In this volume, join Dr. Marino as she explores seven Biblical women who received the specific designation as “blessed” - Mary, Jael, Eve, the Song of Solomon woman, the Proverbs 31 woman, the barren woman, and the Christian woman - to learn about God’s blessing upon His women and why we can declare ourselves blessed, no matter what He has in store for us in this life.